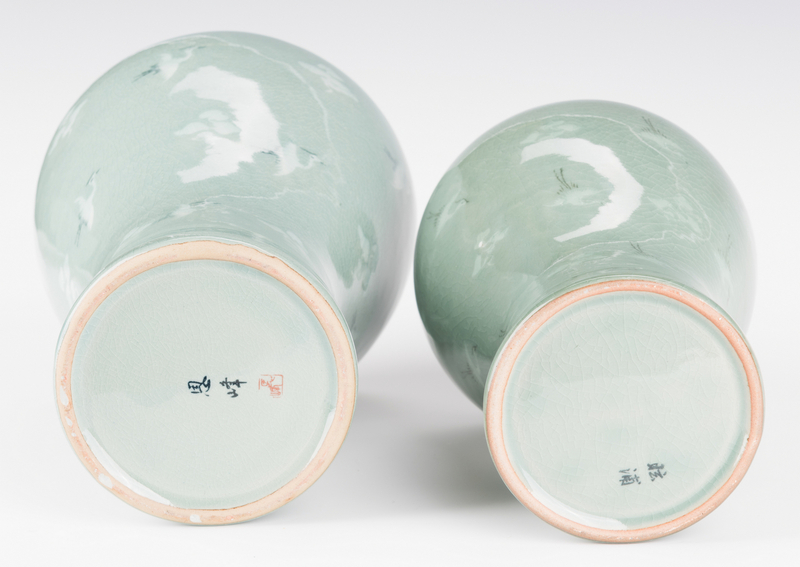 Four (4) Korean porcelain celadon inlaid vases. 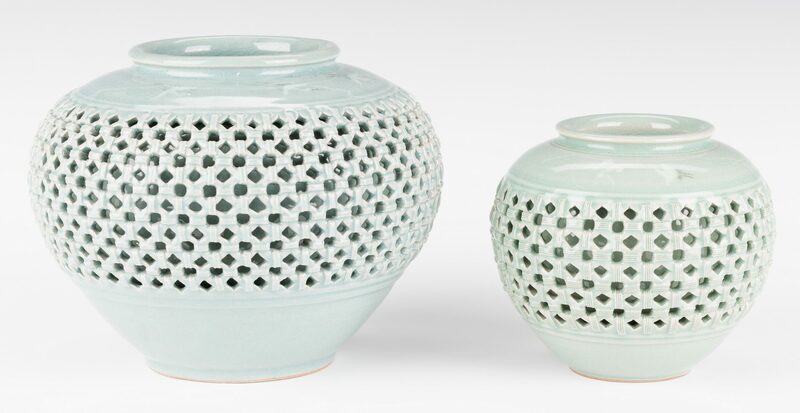 1st item: Korean porcelain celadon jar with openwork basketweave decoration to the body and inlaid crane decoration around the top. 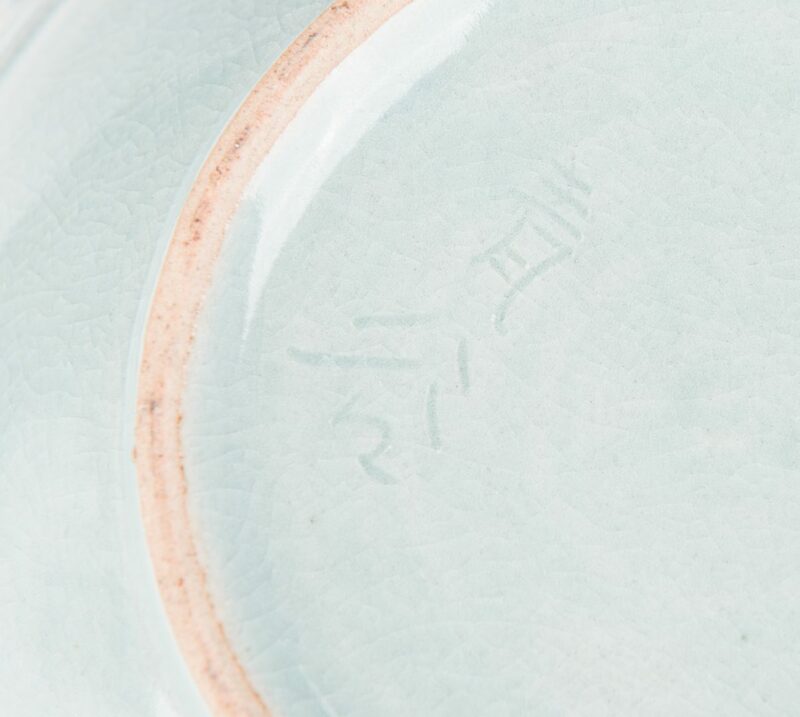 Incised signature to the base. 7" H x 8 1/2" dia. 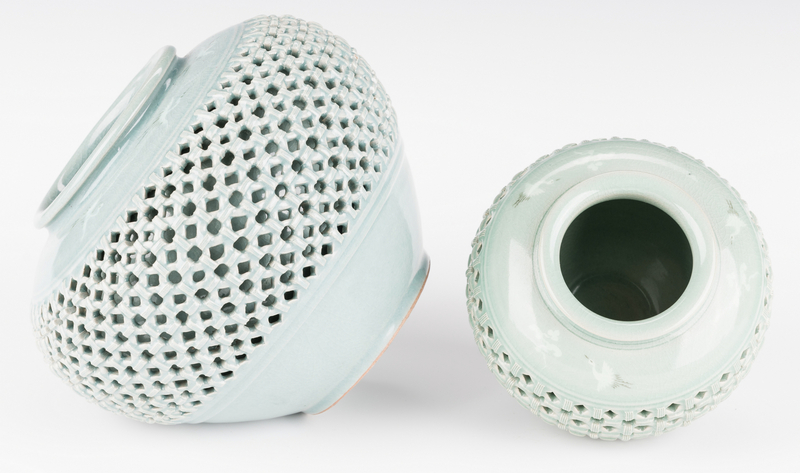 2nd item: Korean porcelain celadon jar with openwork basketweave decoration to the body and inlaid crane and Lingzhi decoration around the top. Signed on the base along with a red seal. 5 1/4" H x 6" dia. 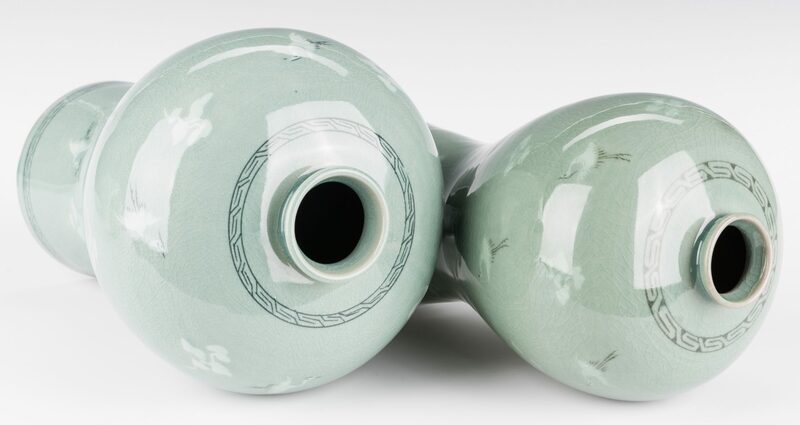 3rd item: Korean porcelain celadon Meiping form vase with allover flying crane and Lingzhi decoration to the body and fretwork bands to the neck and base. Signed on the base. 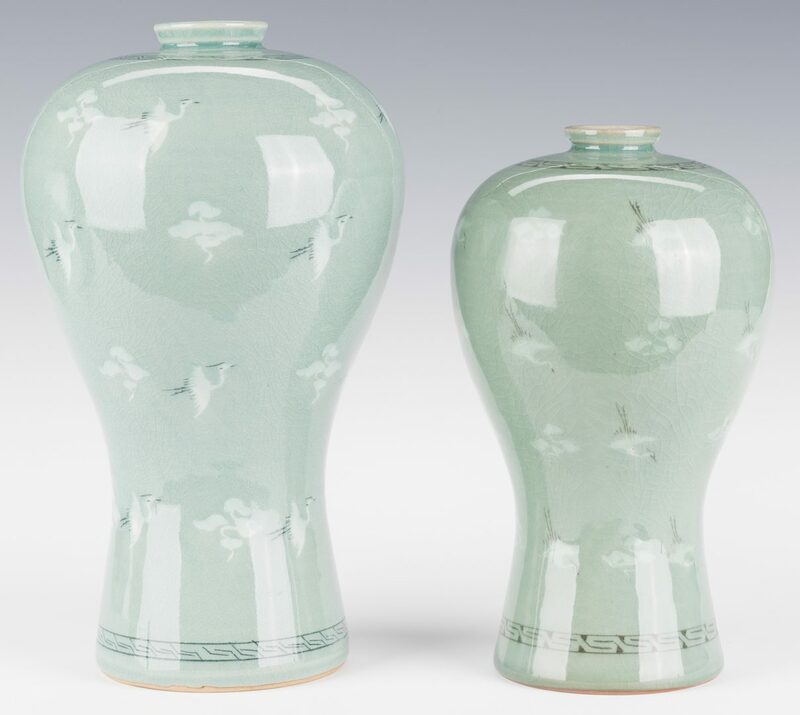 10 1/2" H. 4th item: Korean porcelain celadon Meiping form vase with allover flying crane and Lingzhi decoration to the body and fretwork bands to the neck and base. Signed on the base along with a red seal. All 20th century. 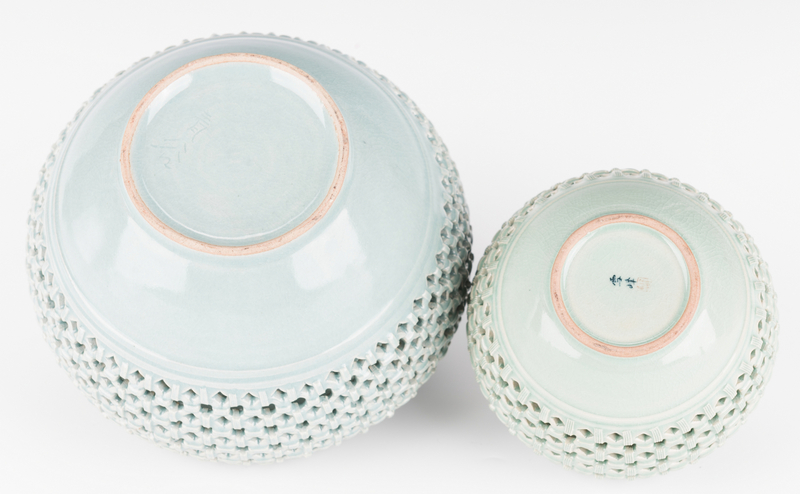 CONDITION: All pieces overall very good condition and with light cracklure to glaze. 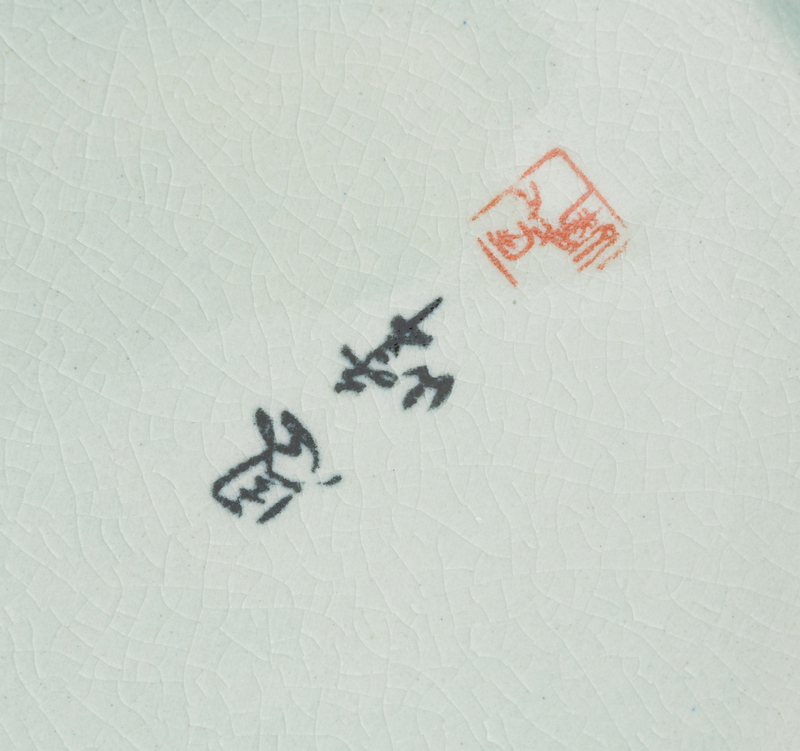 Tallest vase with minor chipping to underside of base.